Hida Takayama is an Edo Period (1603-1868) castle town located in the picturesque Hida Mountains of northern Gifu Prefecture. 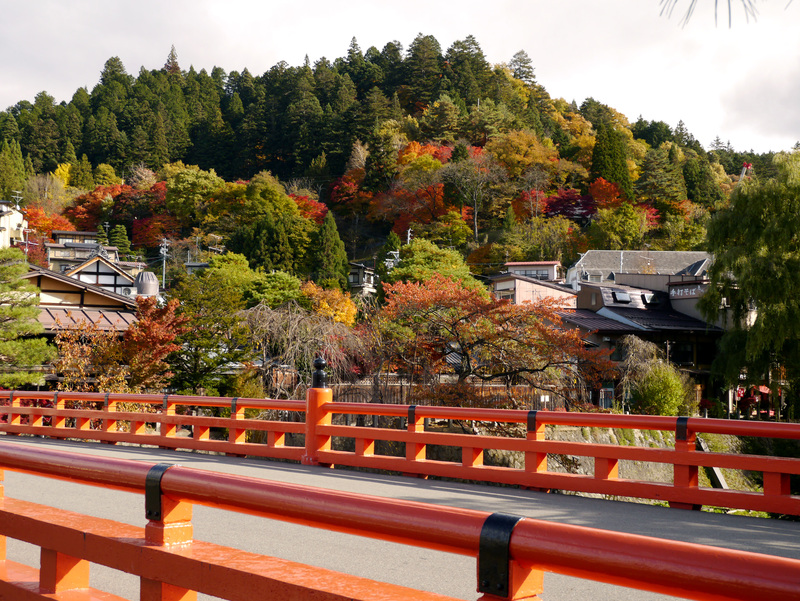 This ancient town’s remote location makes it a fantastic place to view the autumn colors, which are typically at their peak from mid-October to mid-November. The following places are our top recommendations for the area. Shiroyama Park is a beautiful park located near the remains of Takayama Castle, one of the finest mountaintop castles in all of Japan built during the Warring States Period (1467-1590). The park is brimming with beautiful nature and a tranquil atmosphere, making it the perfect spot to take a peaceful stroll to admire the fall foliage. 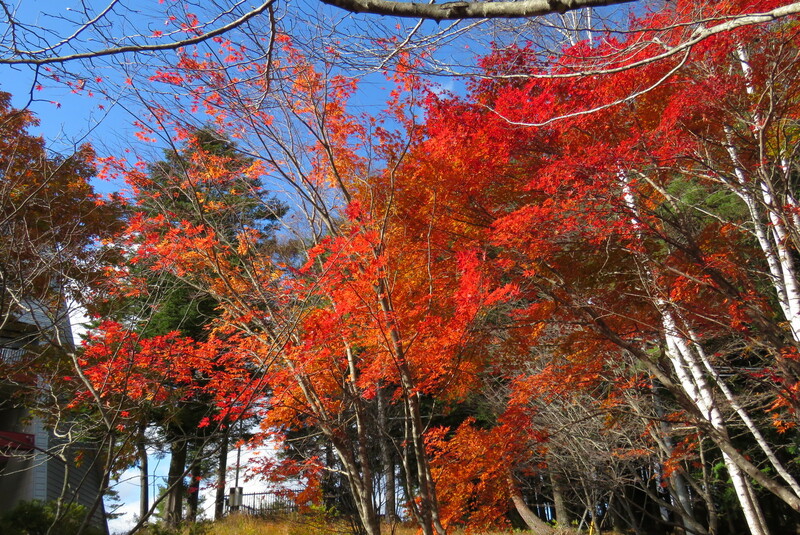 Many of the trees in the park turn a stunning red reminiscent of a traditional Japanese bridal kimono. The park also offers great views of the surrounding mountains blazing with the colors of autumn. Hida Kokubunji Temple, located a short walk from Takayama Station, is considered the finest ancient temple in the whole Hida region. The temple was built in 746 under the orders of Emperor Shomu and houses a stunning main hall along with a three-story pagoda. 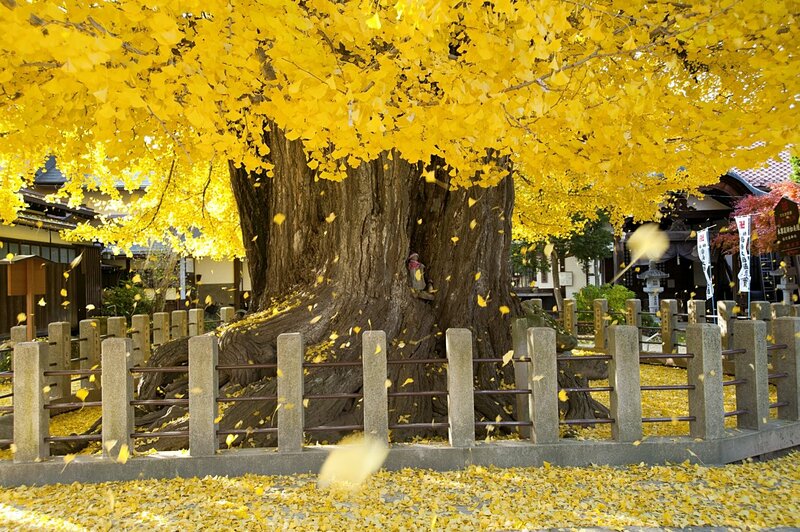 The temple is most famous for its ancient gingko tree, which is said to be over 1,250 years old. The tree turns a brilliant golden-yellow in autumn, contrasting beautifully with the surrounding traditional temple buildings. 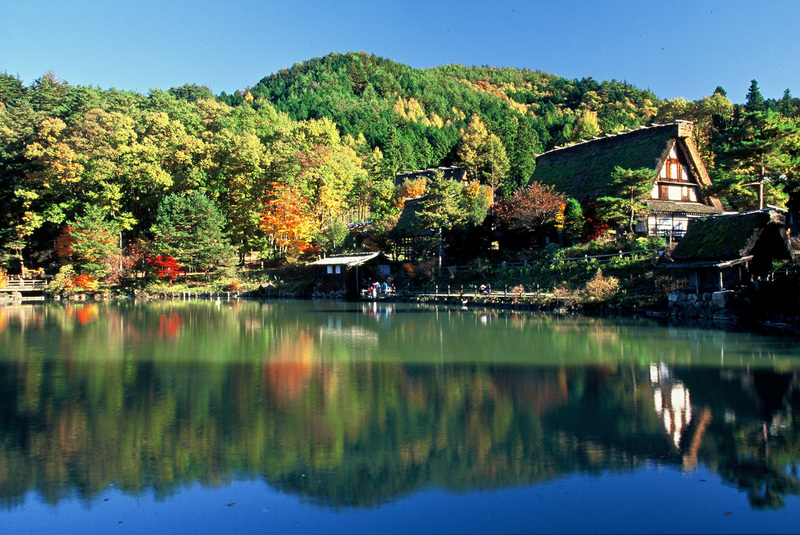 Hida Folk Village (Hida no Sato) is an attractive open-air museum that recreates a traditional Japanese mountain village. It features over 30 historical houses and buildings from the local region, including traditional steep thatched-roof farmhouses made in the gassho-zukuri style. Hida Folk Village is especially picturesque in autumn when the surrounding Japanese maples are at their peak, creating stunning scenery. There’s also an autumn illumination event that runs from late October to early November every year, lighting up the trees at night. The Higashiyama Temple Area contains various temples and shrines located in the eastern foothills of Takayama City. It was started by the local feudal lord, Kanamori Nagachika, who had quite a fondness for Kyoto. The historic temples and shrines in the area are all linked by a scenic walking route that takes visitors through Takayama’s temple town (Teramachi) to Shiroyama Park. The area is simply stunning in autumn when the route is surrounded by trees bursting into color.